Tomato seeds don't necessarily need to be soaked before they are planted. But if you want your tomato seeds to germinate more quickly after they are planted, a good soak will do just the trick. The water softens the seed and can cut germination time down to a few days. Soaking seeds in hot water is also a good way to kill any bacteria they might harbor. 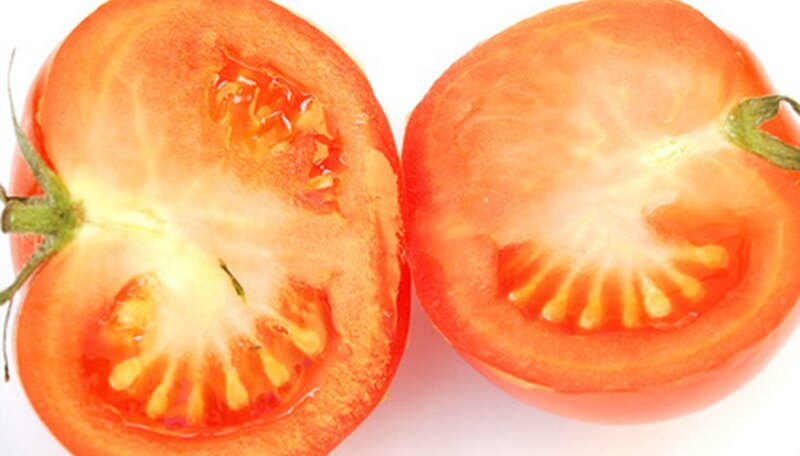 However, tomato seeds should never be soaked until they sprout. The seedlings need air to breath and should always sprout in soil. Heat water in a pot until a thermometer placed in the water reaches and maintains 122 degrees Fahrenheit. Soak the seeds in the water for 25 minutes while stirring and monitoring them constantly. Remove the seeds from the hot bath and place them directly into a bowl of cold water to stop the heating process. Leave them to soak in the water for 24 hours. Spread the tomato seeds out on a few sheets of newspaper to dry. Plant the seeds as soon as they are dry. Freshly harvested seeds tolerate the hot water treatment better than seeds that are 1 to 2 years old. If you are unsure of how old your tomato seeds are, skip the first step and simply soak your seeds for 24 hours.